What's better than absorbing all the kinetic energy directed at you, storing it up, and flipping it back at the bad guys? Nothing! It's the best! Which is why Black Panther is probably the coolest hero ever. Of course, there's lots of reasons to love the Black Panther, but his ability to store energy instead of taking damage is probably the coolest feat in the Marvel universe. We should thank his sister Shuri for the hookup on his super high tech suit! Your kiddo is probably way into Black Panther, too, which is why you should totally hook them up with this kid's Black Panther costume. 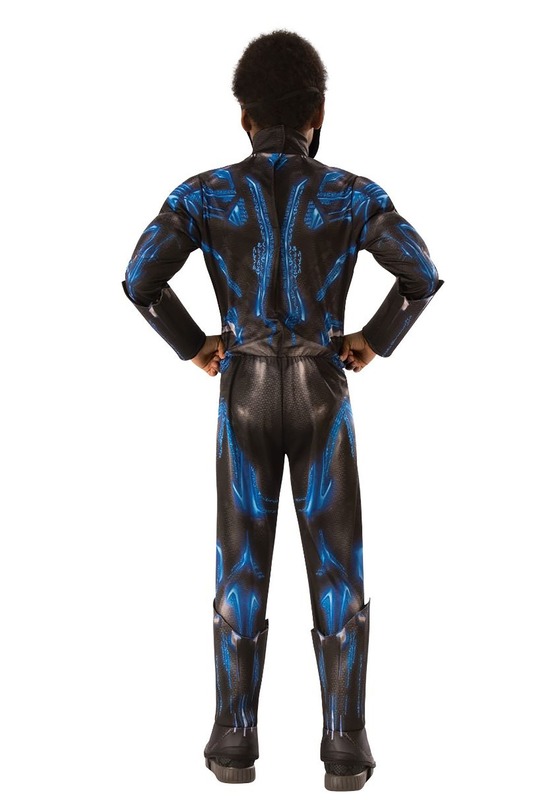 Officially licensed from the smash hit 2018 movie, getting this suit is practically like getting a package from Wakanda. Technically, it will ship out of our warehouse, but your kid does not have to tell their friends that! Marvel officially licensed, this costume is ready for action. The polyester jumpsuit is fully printed with a great digital effect. It also features padded muscle sections, for even more added effect. The half mask completes the costume look, and is sure to have any kid ready to suit up as their favorite hero! This Black Panther Deluxe Battle Blue Suit is a great way to get any boy or girl into the Avengers universe. Of course, we also have the Shuri costume, so that the Black Panther can team up with his sister to defeat bad guys like Killmonger! 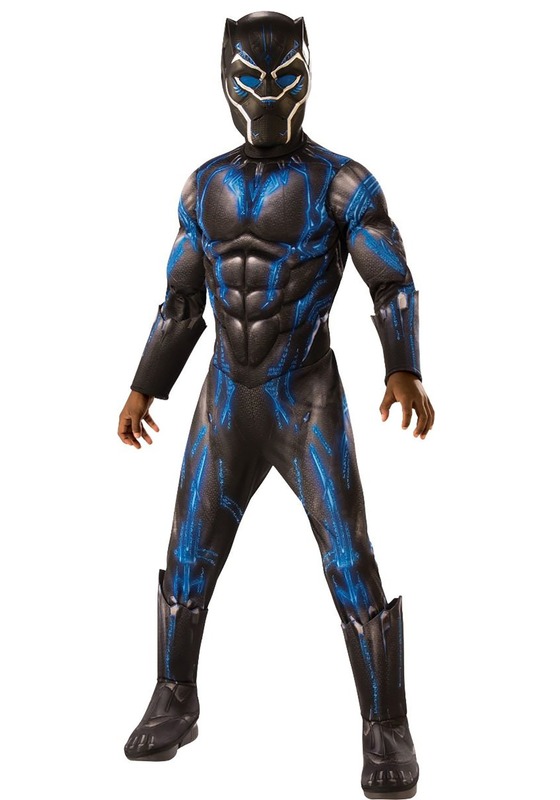 Suit up two kids in any of our Black Panther costumes, and you'll have twice the firepower right in your own home!